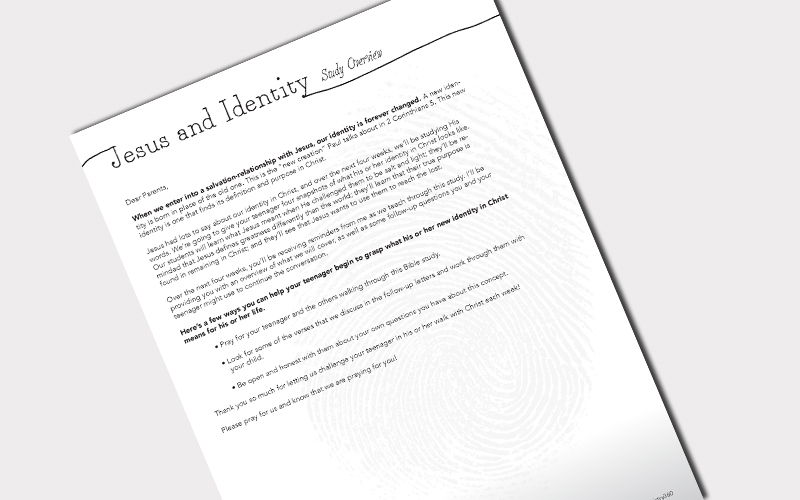 The Jesus Studies curriculum offers 52-weeks designed to cut through the confusion, teaching your students a Christ-centered look at the major issues they deal with in their daily lives. Buy All-Access and lock in a year of curriculum for only $6.71 per week! BUDGET SAVER! The Jesus Studies includes access for unlimited teachers within your church! NO SHIPPING! The Jesus Studies is downloadable and available as soon as you purchase. You don't need to be reminded of the issues teenagers deal with as they try to live out their faith in a world that's often opposed to their core beliefs. Navigating these issues can be rough. Teenagers get so many mixed messages; the world says one thing, their friends may say another. And we hope they know enough about their faith to know how to make sense of it all. We hope . . . The Jesus Studies cut through the confusion, teaching your students a Christ-centered look at the major issues they deal with in their lives. These are no watered-down, topical Bible studies. This is Jesus weighing in on the very issues your students are confronted with on a daily basis. It's your students learning to see life through the person of Christ. Download this document for a quick overview of The Jesus Studies. 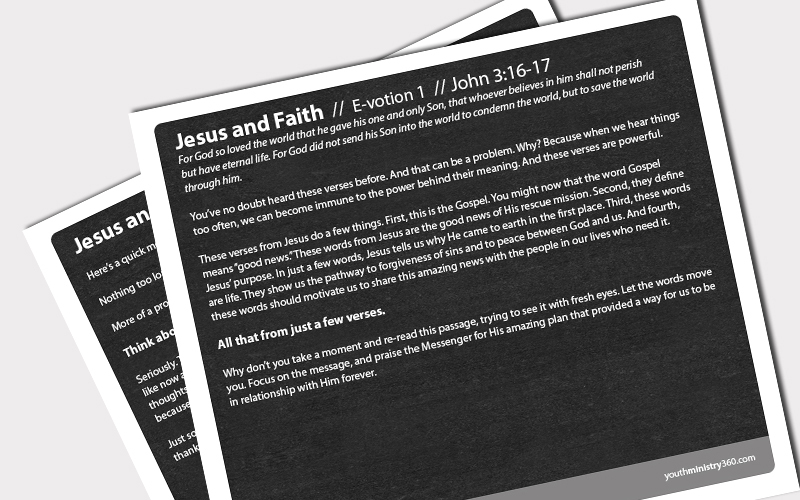 Preview from Jesus and Identity: Each "Jesus" study lesson features a Teacher Prep Video, a short video that guides your teachers in exactly what to focus on in their lesson preparation. 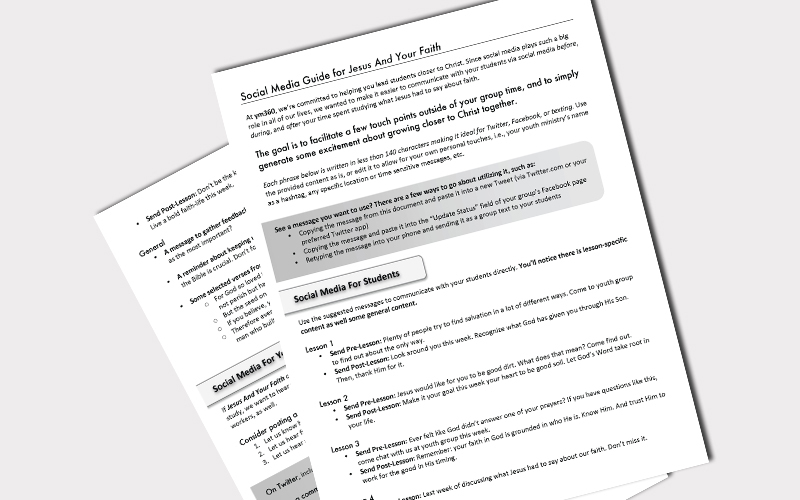 Preview from Jesus And Faith: Each "Jesus" study comes with Social Media Suggestions to help you make connections via social media outside of your group time. An assortment of content to choose from. Ideal for Twitter, Facebook, or text. 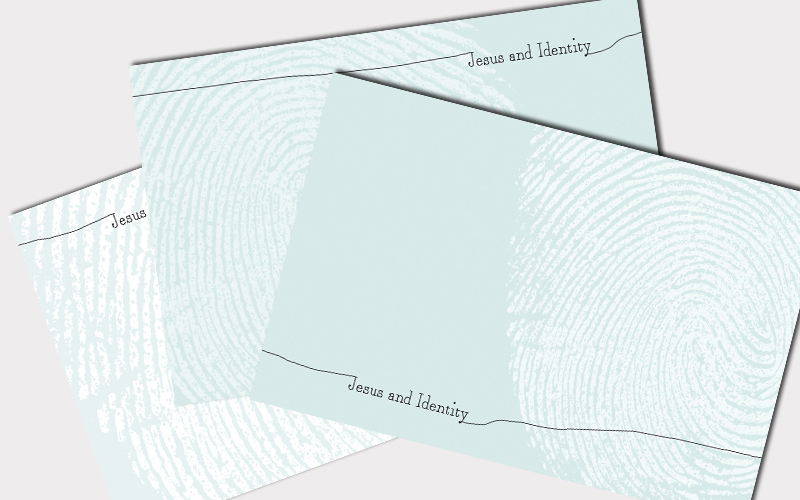 Preview from Jesus And Identity: Each "Jesus" study comes with three background images sized to fit PowerPoint or any other presentation software you use. Use the backgrounds to create customized slideshows to accompany your lessons.